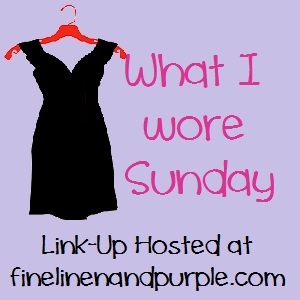 What I Wore Sunday: Pure Fashion Kickoff! I had a weekend full of events, and none of them was cleaning the house! It’s hard being popular. I wore this outfit much longer than usual and am much more tired than usual in this photo and as I type. I didn’t realize until just now that this outfit embodies my love of budget fashion. I selected these particular pieces because I volunteered today at the first session of the Pure Fashion Austin year [warning: auto-play video at the link]. We were instructed to wear “fall fashions,” and since it’s not even a little bit cool, this was as close as I could get. In my defense, our leader was wearing a white dress with her jean jacket and boots. If she can wear white after labor day, I can fudge my definition of fall. This is fall in Austin! I think this necklace is one of my favorite purchases. It gets in the way a little bit, but I like the length and its versatility. Initially, I chose it to make an old dress feel new when I wore a dress to a wedding after wearing it to another wedding nine months later. It mostly did the trick, but its value as an outfit completer can’t be overstated. I went to a workshop yesterday morning, so I got a homily/speech from my pastor then. That mostly satisfied me through today’s Mass with Fr. Associate Pastor. Father Associate’s homily focused on doing what is right and what we say we’ll do. Authentic actions speak louder than the most eloquent words. I definitely took that to heart. At Pure Fashion today, the models (high school girls who are participating in the program) identified modesty as more than just necklines and hemlines. It’s also about attitude. 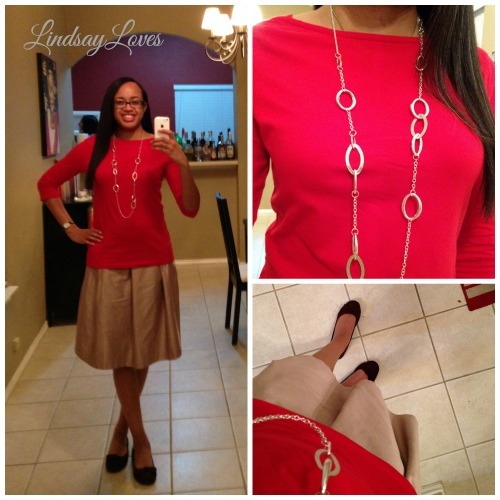 Immodest actions can ruin the most covered-up modest outfit. There is hope for the fashionable future! 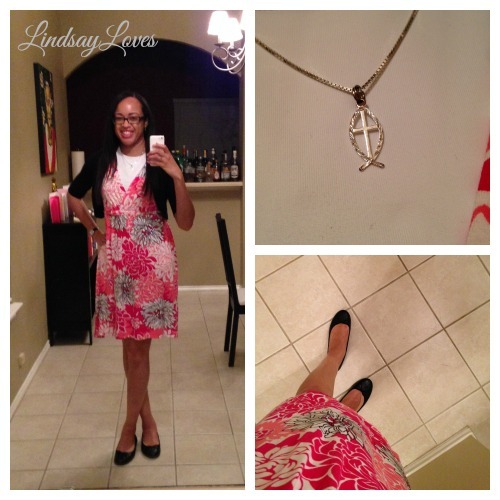 What did you wear to church today? Check out more posts at Fine Linen and Purple. Okay, show of hands: who has read Shakespeare outside of school required reading? Do you watch the plays? How about movies? Do you love him? Do you think he’s overrated? I love Shakespeare! My undergrad degree is in English, but my specialty within that was British and American literature. That concentration was one of the few that required at least one Shakespeare course. I thought (and still think) it’s a travesty that you can get an English degree without taking Shakespeare. My Major Works of Shakespeare course was taught by Dr. Ted Leinwand, who became one of my favorite professors. I liked him so much that I intentionally took a second class with him. He was eccentric, passionate about Shakespeare, and Jewish (which I mention only because he brought it up and because it made reading The Merchant of Venice that much more awkward and awesome). I greatly enjoyed his teaching. I also enjoy Shakespeare outside of school. I go to see Austin Shakespeare‘s performance in Zilker Park every summer (this year, it was As You Like It), and I went to see The Tempest in a regular theater not long after I moved to Austin. Despite my preference for the book (always), I’ll admit to liking movies that are Shakespeare adaptations. I’ll always hold a special place for Ten Things I Hate About You. I didn’t know it was The Taming of the Shrew when I saw it, I love 90s teen movies because they’re so ridiculous, and I have visited the actual school where filming took place. It really does look like a castle! The historical plaque said it was intended to be a train station. 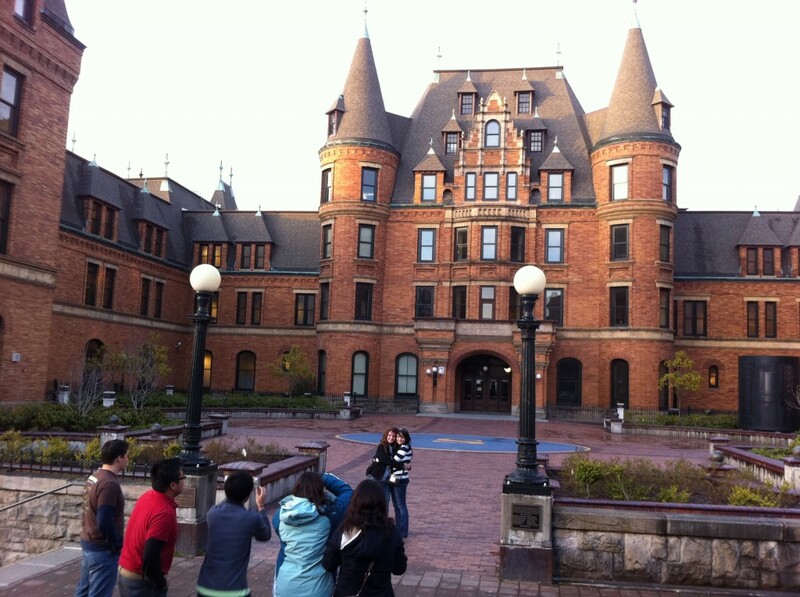 The Tacoma school system bought it when the train company didn’t. 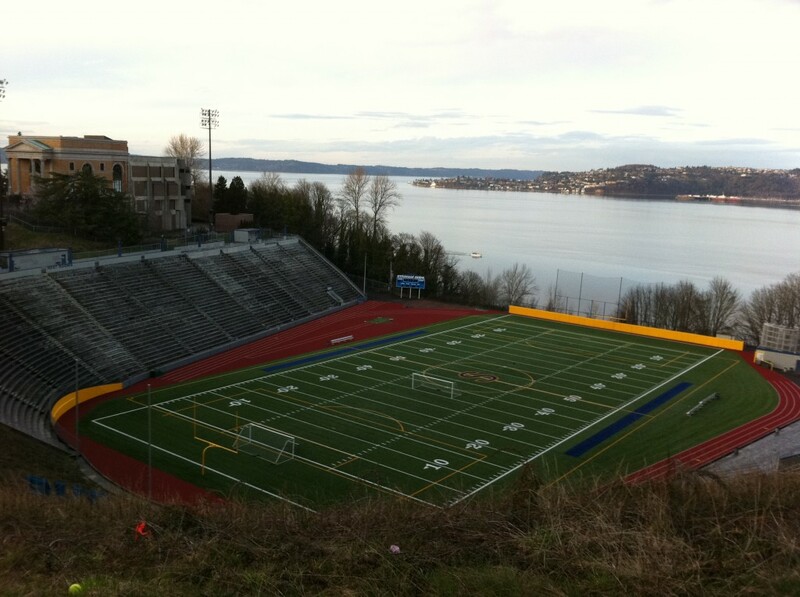 Can’t you just picture Heath Ledger running across those bleachers singing “Can’t Take My Eyes Off You”? So many people get lost in the historical controversy around Shakespeare’s plays or bogged down in his language (which is not Old English! ), but I get wrapped up in the stories. It’s been 400 years and we still don’t know if Hamlet really goes crazy or is just faking it. I say that’s a compelling story, and you know how I love compelling stories. How do you feel about Billy Shakespeare? You came back! I’m touched. 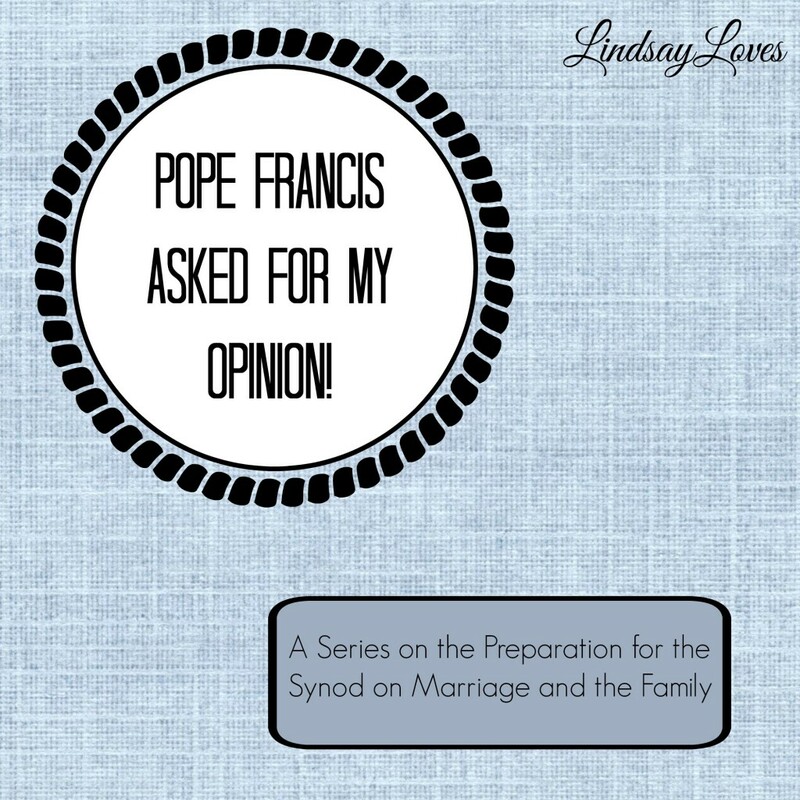 This is the second (read the intro here) in a series of posts about the preparation for the synod on marriage and the family. This synod is properly called the Extraordinary General Assembly of the Synod of Bishops on the topic “Pastoral Challenges to the Family in the Context of Evangelization.” That’s a mouthful! Each post in this series will include the actual questions asked in the survey along with my responses. I invite you to add your responses in the comments or on your own blog. As I mentioned in the intro, Pope Francis, by way of the Diocese of Austin, asked for my opinion by linking to SurveyMonkey. Before I could get to the actual survey, though, I had to download and read this PDF, the preparatory document. I found it helpful to read that because it put me in the right frame of mind to answer the questions, but I would have found it useful to know that the questions on pages 4–7 were the ones that would be asked in the survey. I could have prepared my answers in advance rather than risk a computer crash or browser refresh that could destroy everything in an instant. With great technological power comes great responsibility. In the end, I copied and pasted my answers into a Google Doc so that I could write this blog series. Score one for planning. On to the first set of questions and answers! Notes in brackets are mine. Describe how the Catholic Church’s teachings on the value of the family contained in the Bible, Gaudium et spes, Familiaris consortio and other documents of the post-conciliar [post-Vatican II] Magisterium is understood by people today? [That’s not actually a question.] What formation is given to our people on the Church’s teaching on family life? Most people know about the Church’s teaching on the value of the family only through homilies on the Feast of the Holy Family, in marriage preparation programs from the last few decades, or by seeking out information on their own. Very few people seek out info on their own, and even marriage prep can miss the opportunity for catechesis about family in particular (versus the married couple on their own). I read Gaudium et spes, and I couldn’t tell you what it says about family off the top of my head. I would say that most people just know that married couples are supposed to stick together for life and that children are supposed to be a good thing. In those cases where the Church’s teaching is known, is it accepted fully or are there difficulties in putting it into practice? If so, what are they? Many people reject the Church’s teachings outright because the media, the world, and even extended families make it seem impossible. Struggling parents often don’t have friends or family members to serve as role models giving them hope, advice, and prayer. They can feel pressure to be “done” having children, to live “childfree,” to use contraception, or to be sterilized. Unhappy spouses can be talked into divorce even when reconciliation is possible. Parents are convinced that “the kids are all right.” Catholics who do not attend Mass don’t hear any voices speaking the Church’s truth even if they know what the truth is. How widespread is the Church’s teaching in pastoral programs at the national, diocesan, and parish levels? What catechesis is done on the family? Catechesis on the family is usually limited to discussions of the sacrament of marriage. Family activities are increasing, but there is still much separation of age groups (i.e. parents don’t usually learn right alongside their children, or even at the same time if not in the same place). National websites such as For Your Marriage are great but not widely accessed. I don’t know of any specific resources for families in the Diocese of Austin except the Counseling Services (through Catholic Charities). To what extent—and what aspects in particular—is this teaching actually known, accepted, rejected, and/or criticized in areas outside the Church? What are the cultural factors which hinder the full reception of the Church’s teaching on the family? Outside of the church, the definition of “family” has changed. It no longer centers around a married man and woman and their children, with or without extended relatives. It is believed that a free, total, faithful, and fruitful marriage is wishful thinking at best and impossible at worst. Marriage is no longer needed for sexual activity, shared home life, or raising children. Family can be whatever you define it to be, which makes the word carry little meaning. Marriage is no longer seen as something that should last a lifetime or is even able to last a lifetime. Children are seen as a nice addition to marriage, but not “too soon” and not more than two or three. Celebrities and other media figures don’t support the Church’s vision of marriage and family. Those who try to follow the Church are ridiculed, sometimes by their own friends or families. It is very difficult to be faithful to the Church’s vision of family even if you know what it is. That’s it for the first section. What do you think? How do you know what the Church teaches about family? What parts of our culture make Catholic family life difficult? Pope Francis asked for your opinion, too! Pope Francis Asked for My Opinion! That title is truth. Pope Francis asked for my opinion! I didn’t give it to him, though. Why? It’s not because I was too overwhelmed by his holiness (lowercase as in a characteristic, not capitalized as in a form of address). It’s not because I don’t have an opinion on the issue. It’s not even because I didn’t start formulating an answer. I didn’t give him my opinion because I forgot he asked for it until it was too late. As is being noted by secular and Catholic media outlets alike, Pope Francis has called for an extraordinary synod of bishops. This is kind of like having an intervention for the world. The topic is the “Pastoral Challenge to the Family in the Context of Evangelization,” which is excellent because the family as a concept is in sore shape these days. In common terms, it’s a big meeting (a synod) on marriage and the family. 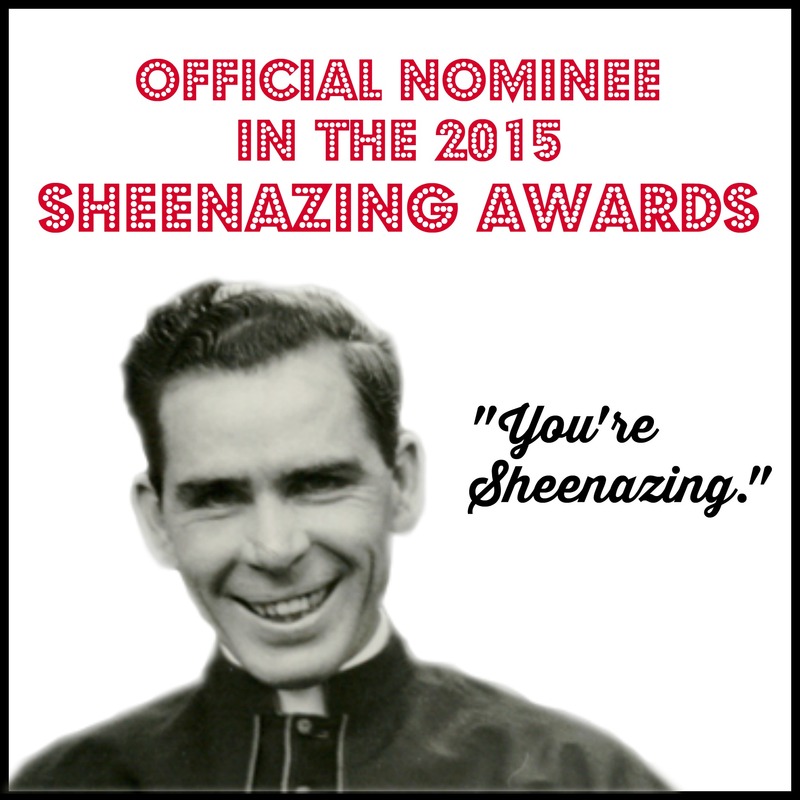 There will be an ordinary synod later, but the extraordinary one starts on October 5. As part of the preparation for this synod, Pope Francis asked each bishop to conduct a survey of his parishioners for their opinions about the topics that the synod will cover. God bless Bishop Joe for trying. He is a fine bishop, and he actually asked all the parishioners in the diocese to offer their opinions. He even collected them with SurveyMonkey: a clear step up from the old-school parish registration card. The publicity just wasn’t great. The only mention I saw was in the diocesan e-newsletter, the E-Pistle, which you have to opt into receiving (as you should). Even the board of Austin CNM only got wind of it a few days before the submission deadline in April, and with the particular administration of the survey, that just wasn’t enough time. I heard about it right away and was very excited, but I spent my time elsewhere and only got to composing my answers the night before the deadline. Then I almost fell asleep typing and decided my energy was better spent going to bed. So everything I said was true: Pope Francis asked for my opinion, and I didn’t give it to him. But I wish I had. Conveniently, I have a blog! I occasionally even have readers (thanks, guys! ), but I blog for the sake of my own memory, too. This provides the perfect opportunity to remedy my egregious error. This post is the beginning and anchor for a series about my opinions on the ways that the message of the Church about marriage and family life reaches (or doesn’t reach) the people, those in the Church and those outside her. To my knowledge, this is the first time the people have been asked to offer their opinions to the pope, at least in the modern era. I doubt mine will ever make it up to Pope Francis because this is not the usual channel, but I will at least get to express myself. At the same time, I can share the questions from the survey, and you can figure out what you think, too. Tune back tomorrow for the first installment: whether I think people know what the Church and the Bible say about the family. One of my favorite accidental results of participating in What I Wore Sunday is that I am reminded that I don’t actually wear the same things all the time. My closet is not unlimited, and neither is my budget, but I have a surprisingly large variety of potential outfits. Today, for example, when I was riffling through my closet wondering what to wear, I came across a summery dress. After a few storms, the cold front has departed, and Austin’s endless summer has returned, so I knew I wanted something light and breezy. There are only so many Sundays until October, when it usually turns cool for the year. I grabbed my phone and checked my photos. I don’t take many photos, so most of them are my Sunday selfies. (Unfortunately?) The last time I wore this dress was in March, so it was a winner. A slightly more summery accessory was all it took to make a “new” outfit. The last time I wore this dress was with a longer sweater because it was cold, and I didn’t have this small one yet. I keep my eye out for pieces I’m seeking (a tip from Audrey that scored me my new leggings), and this had not turned up on sale yet. Hold out for sales! In an exciting change of pace, we had our pastor for Mass! If he had been greeting when left the church, I would have said it was good to see him again, and it would have only been a little bit passive-aggressive. (What’s the alternative? Just aggressive?) He gave one of his usual long homilies, focusing on the Gospel and how the workers who labored all day think it’s unfair that the latecomers got the same wage. When I read that passage this morning (okay, afternoon; I struggle on Sundays), one verse jumped out at me. The day-long workers had agreed to the usual daily wage. They got exactly what the owner promised them. The late-start workers weren’t expecting anything, but they got much more than nothing. Fr. Pastor made two very interesting points. First, many of us churchgoers (the ones who were around to hear his homily at all) might be mistaking where we are in the heavenly paycheck lineup, so to speak. We think we’re at the front, but it’s entirely possible that we’re dead last. Perhaps we should be praying that our heavenly landowner will be just as generous with us as he is with those who have worked longer and done much more. Second, if you read before and after this passage, you’ll realize that the parable is directed at the apostles and the mother of James and John, all of whom wanted prime positions in Jesus’ kingdom. But everyone is equal as far as Jesus is concerned. First, last, second runner-up: none of that matters in heaven. It took a while, but at the very end of his homily, Fr. Pastor said the keyword I’d been listening for: justice. God’s versions of fairness, generosity, and mercy fit his framework of perfect justice. We humans attempt justice and necessarily fail because we are imperfect. In God’s view of the world, those who come to faith on their deathbeds are just as saved as those who were baptized the day they were born (and hooray for that!) May we rejoice in God’s perfect justice. @wendyshalit @lndsyloves @AustinCNM you're famous! Back in college, some friends and I were inspired by Wendy Shalit‘s Girls Gone Mild (now in paperback as The Good Girl Revolution) to write an editorial about mdoesty for our campus newspaper. My name went into the byline, and Wendy herself found me and friended me on Facebook. These days, she found my review of her earlier book, A Return to Modesty, and tweeted my image! So yes, Maura (my college roommate), I do feel famous! Enough tweets. It’s been a while since I rounded up 7 quick takes. My luau birthday party was delightful. It appears that scheduling it before the start of football season last year was critical to attendance. Many people I thought would come either never showed or came after their game finished. I kind of liked the staggered arrivals, because it kept the party going at a nice manageable pace rather than our usual flood of people mid-party, but I also missed the house-filling throng. Lessons learned for the spring. 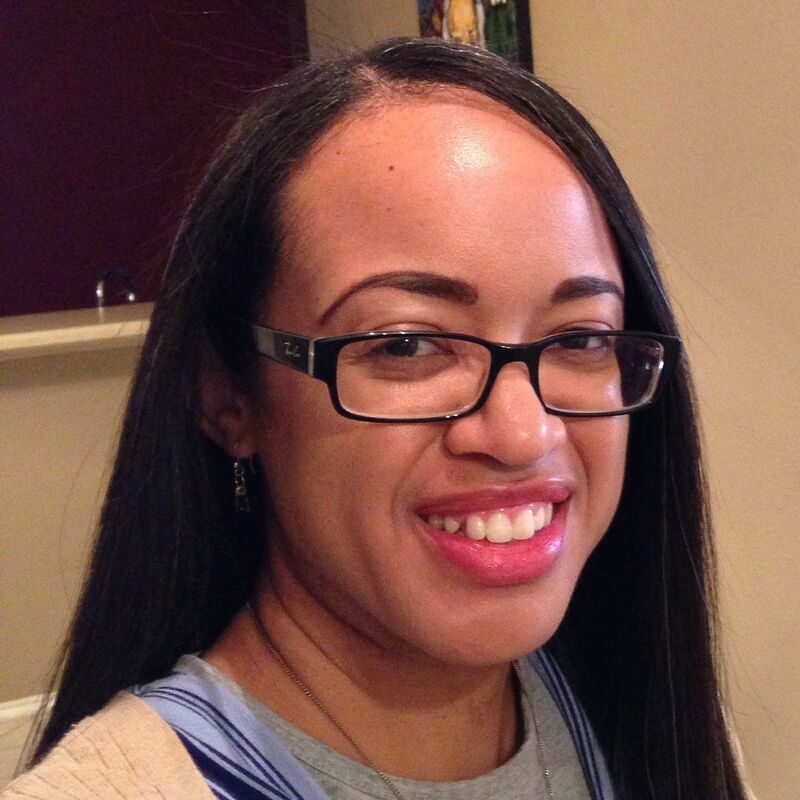 I promised more about my young adult group disbanding, and then I didn’t deliver. That’s partly because it’s disheartening to think about. The nutshell is that participation had been declining for a long time (months and months) before I was asked to join the leadership team, and it dropped sharply thereafter, despite my efforts to be all things to all. I burned out around Independence Day, and we (mostly I) made the decision to close up shop and move on. I have chosen to see the end of the group as an occasion for hope. Most of the new members that came to an event or two never really got involved beyond that, so there won’t be much for them to miss. We long-term members have formed actual friendships outside of the group, and many are involved in the other Catholic young adult groups in the area, so they’re not just out in the cold. Being on the forefront of something new is not my thing. I don’t like seeing things end, either, but it was time, and I am at peace. Tonight, I am at home on the couch, but last Friday, I went out for karaoke. A friend of mine hosted a large-but-private room party. I guessed that most of the people there would be people I didn’t already know, and I was right. I do like to sing, I’m decent at it (but nothing to write home about), and I had been looking for opportunities to stretch myself socially. There are no single men living in my house. So I went, even though the aforementioned rain in Austin turned everyone into terrible drivers, and I had a really good time. I sang so much that I almost lost my voice, but it was so good to just be without worrying about what people would think. I might not ever see some of those people again. It was freeing, and it was fun. Does anyone else have trouble staying on top of email newsletters and blog posts? I had some time recently to do a reading spree, and I feel so much better than I did looking at those growing numbers. The Inbox Zero part of my heart is happy. I did declare bankruptcy on selected sources, but I find myself going on these reading binges more often now, more often than I’d like. I have a technique beyond “try to read everything,” but there’s got to be a better way. (I sound like a kitchen gadget infomerical.) Any ideas? The CatholicMatch Institute blog published an article on the issue of divorced and remarried Catholics receiving communion without an annulment. They can’t, but I think that is one of the few articles I’ve read on the subject that covers both sides without making anyone seem like a fool. It’s so easy to say “you’re heartless and unrealistic” or “you’re a heretic and a sinner” without taking time to think the issue through. I did not get that impression from CatholicMatch, though, and I’m grateful for that. Do other people in your family also like to read, or are you in this on your own? My dad doesn’t read now, but he used to. He read the Lord of the Rings books in high school, and he also used to play RPGs. He told me a story once about ganging up to steal another guy’s goats in one game. That is nothing like the grown man I know, but I have to take his word for it, right? My brother doesn’t read at all, as far as I can tell. He’s a football player, so that’s not surprising. Don’t get me wrong: he’s genuinely smart, but I don’t think he’s into reading for fun. My sister reads. She reads Twilight, though, so I’m on the fence about whether that negates all her other reading. She enjoys Harry Potter (but not as much as I do! ), and when I interviewed her as an “adolescent reader” for an assignment in undergrad, she recommended the Uglies series. In the end, I did not like Uglies enough to finish all the books, but it was worthwhile. They weren’t to my liking, but she’s got taste. Then there’s my mom. Oh, mom. My mom reads Danielle Steel books. I can’t decide whether that is better or worse than Twilight. At least Danielle Steel movies are on Lifetime, where they belong, and where she and other middle-aged women watch them, and no one tries to compare them to Harry Potter.